[WATCH] Funko POP! 'Venomized Ghost Rider' unboxing (Walmart exclusive) – AiPT! Two, two, TWO parasites in one! Did you love Edge of Venomverse #3 by Simon Spurrier and Tigh Walker as much as I did? Have you felt the same despair that we’d probably never see a symbiote/Spirit of Vengeance “Host Rider” figure? Then have I got news for you! Okay, the new Walmart exclusive Funko POP! 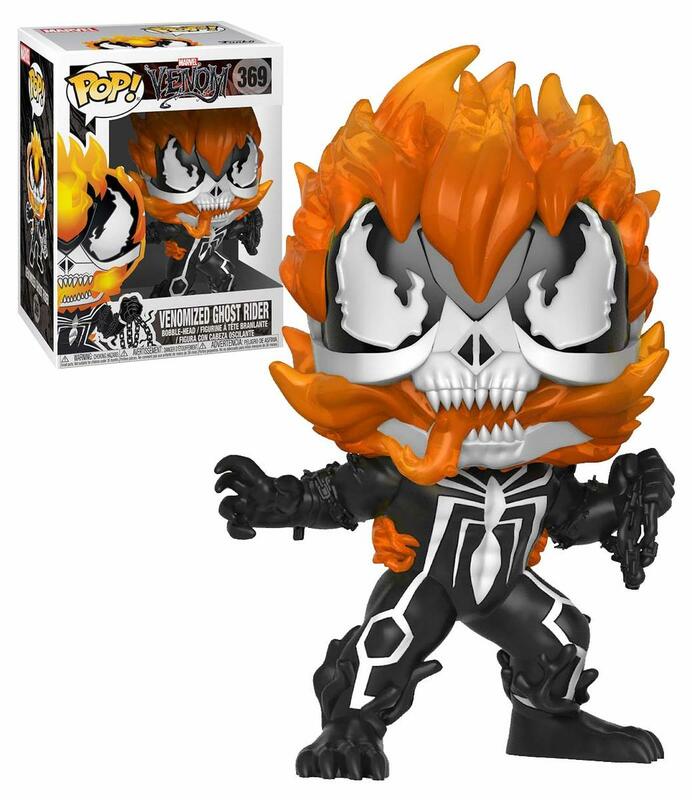 “Venomized Ghost Rider” probably isn’t exactly inspired by that character, but man, it’s close enough! The helmet, the flames, and even a fire-tongue! What more do yo need?! It’s either very popular or rare, because you’ll pay a lot more on the secondary market for it than you will for other, seemingly more marketable “Venomized” POPs. Is it worth it? See it in action and decide for yourself!